Please complete the form to receive your Jack Strong merchandise. 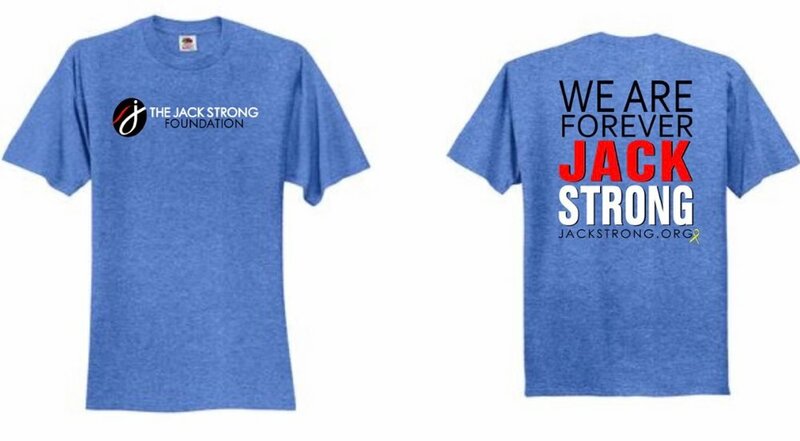 As part of your contribution to The Jack Strong Foundation as an Iron Man Sponsor, you'll receive 5 shirts and 5 assorted adult-sized bracelets. Please choose your shirt sizes and colors in the form below. If you prefer to forgo your merchandise, please email jackstrongfoundation@gmail.com with your request. Where would you like your merchandise delivered? We'll use this for your ad on our sponsorship page.